"Fire rainbow" spotted in Vermont – what is this colorful phenomenon? An iridescent rainbow-colored cloud seemed to magically materialize in the sky above Vermont. The colorful streaks across Sunday's blue sky puzzled some people who saw it near the New York-Vermont border. It's a "fire rainbow," WCAX reports. The phenomenon has made headlines before, and it's technically called a "circumhorizontal arc," National Geographic explains. A similar fire rainbow made headlines in San Francisco less than two months ago. The National Weather Service shared several photos of that fire rainbow and an explanation from meteorologist Roger Gass. Circumhorizontal arcs occur when the sun is situated high in the sky -- higher than 58 degrees above the horizon -- and its light is refracted by ice crystals suspended in the atmosphere, most commonly in cirrus clouds. "When the sun hits the ice crystals, you get pretty colors," Gass told SFGate.com. "It's an optical illusion." 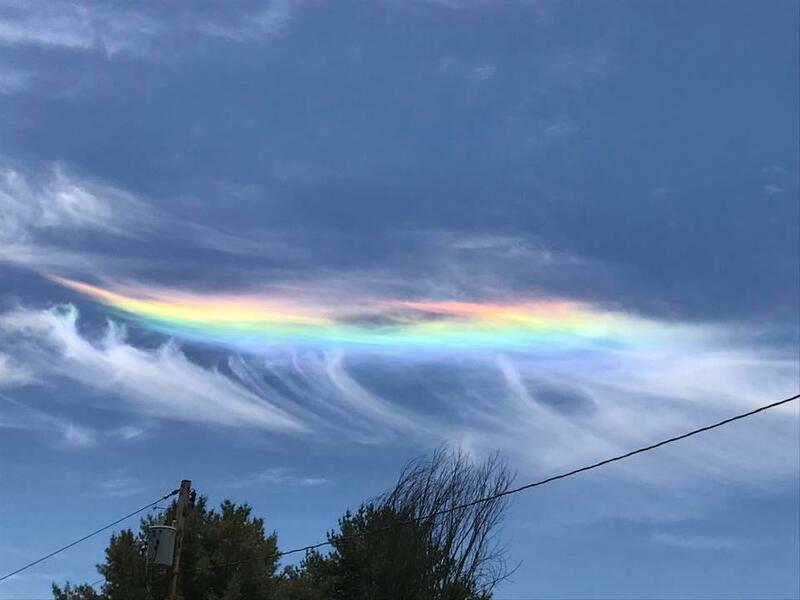 Several people who spotted the colorful clouds overhead in Vermont sent photos to WCAX-TV, wondering what was causing the unusual sight. There were just a few wispy cirrus clouds in the bright blue sky, but that was enough to spark a fire rainbow.